BridgeClimb surprise number one: you can climb any time of the day or night. BridgeClimb Sydney is one of the go-to attractions for visitors to the city, but there are a few things you won’t know about the harbour city icon. Except for one day of the year, on New Year’s Eve, the BridgeClimb keeps climbing. Catch the sunrise, sunset and watch the city skyline light up in the middle of the night, or even add a little extra excitement to your Christmas Day with a climb. BridgeClimb gets involved in the fun of all kinds of special events during the year, including Chinese New Year, Vivid and Mardi Gras. And for those looking for nuptials with a difference, you can even get married on the Bridge! While you can book a BridgeClimb for anytime of the day or year, reservations aren’t essential, meaning you can decide to climb at any time. So be spontaneous and surprise a friend with a weekend climb. The original climb has been a popular choice since BridgeClimb began in 1998, but if you’re pressed for time, you can take the BridgeClimb Express. The classic route follows the outer arches, while the faster climb heads through the heart of the bridge before reaching the summit. 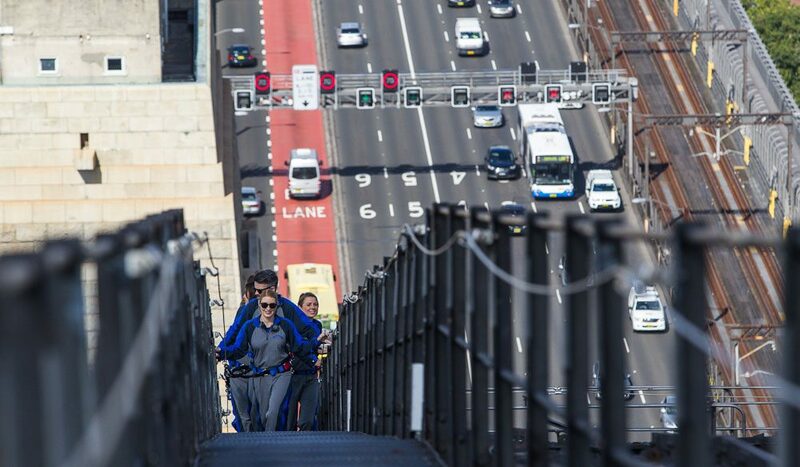 If you’re not a lover of heights, the 90-minute BridgeClimb Sampler is for you. 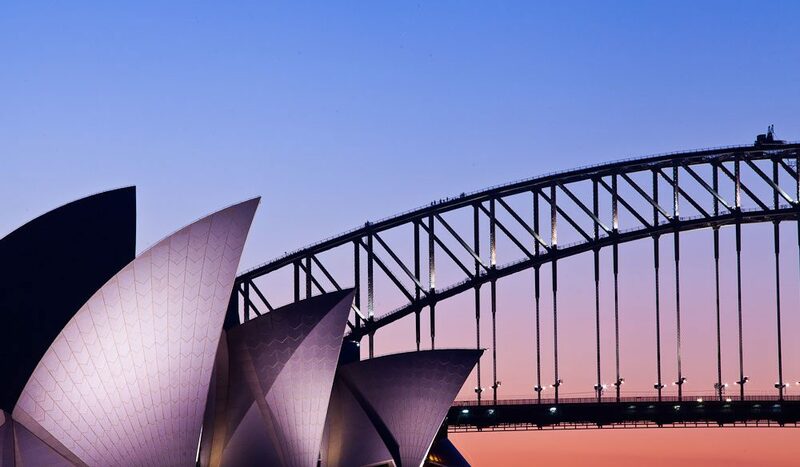 Many a celebrity has ticked the BridgeClimb off their Sydney bucket list while Down Under, among the more recent climbers has been Katy Perry and a few members of Modern Family. Drop into BridgeClimb’s Climb Base to check out which celebrities have enjoyed climbing one of Australia’s best-known icons.